Interested in Italian ice cream? Want to know the history behind the production and ingredients that go in to Ice cream in Italy? Our guide gives you the facts & information you want to know. Ice cream is a sweet treat that is revered for its flavor and ability to refresh and bring smiles to the faces of those who are eating it. 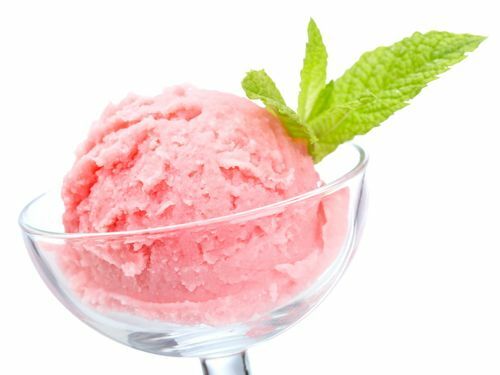 Ice cream has a long and colorful history and it is thought that the roots of the ice cream we know today can be found in Italy. Nero Claudius Caesar of Rome was emperor and ruled with a cruel and iron fist. His reign was from AD 54-68. It is said that he sent slaves in teams in order to bring back snow and ice from the mountains with which to cool his favorite fruit drinks. As so many creative musings were made into reality at this time in Italian history, food was another form of creative expression. Chefs that were inspired would churn creams that were sweetened into mixtures of gelatos and ices. At this time only the rich could afford such a treat. An Italian noblewoman that was married at the tender age of 14 was Catherine de Medici. Her husband was the Duke of Orleans from France and she brought her sweet treat with her to her new homeland and the court of Francis I. Her husband the Duke became Henri II. She not only brought her belongings and servants to France, she also brought the first professional maker of ice cream; Ruggeri. Her wedding celebration lasted a month and Ruggeri was said to have created a different flavor of ice cream every day. Some of them were wild strawberry, cherry, orange, lemon and lime. It was because of Catherine de Medici that the French came to appreciate and know the taste of Italian cooking. In Italy, ice cream is known as gelato. It was in the year of 1565 that Bernardo Buontalenti was hired by the Medici family’s Royal Court in order to organize banquets in Florence that were the ultimate in luxury and elegance. This included supplying events for the theater, construction of the stages as well as the food and fireworks to be enjoyed by the elite. It is said that for one such event he introduced a frozen dessert that was made with fruit and zabaglione. There are some that dispute the validity of this story as Buontalenti is often associated with his construction of icehouses. It was at these houses that the public could purchase ice and snow for preserving their food.